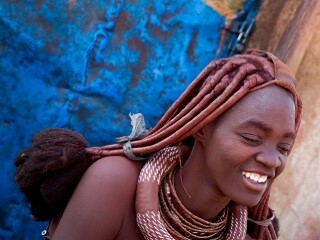 One of Africa’s most stable nations, Namibia is an ethnically tolerant and diverse country with a rugged, arid beauty. It’s also the first country in the world to incorporate environmental protection and establish community-based conservancies into their 1990 constitution. We believe that to travel responsibly, a portion of our tour cost should benefit the communities we visit. For this trip, the beneficiary is the Conservation Travel Foundation, who identifies and supports community-based development projects and conservation initiatives that sustain ecological integrity, protect biodiversity, support cultural heritage, and contribute to the social and economic well-being of rural communities who are the custodians of their heritage. Depart home and fly to Windhoek. Lose one day due to travel and time change. Ultimate Safaris will pick you up from the Windhoek International Airport where you’ll then depart in your safari vehicle through the Khomas Hochland highlands and onward to the Great Escarpment and the Namib Desert. Spend the afternoon exploring Sesriem Canyon, Elim Dune, or simply relax and unwind at Sossus Dune Lodge. 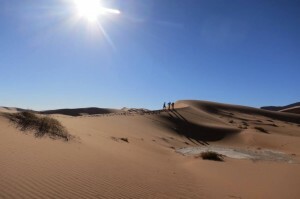 Beat the sun to breakfast and set off to explore Namib Naukluft National Park to experience some of the world’s highest free-standing sand dunes at their best. Just imagine soft light and shadows dancing in the twists and curves of the apricot-colored dunes. After exploring a few of the surrounding fields, enjoy a picnic brunch under a camel thorn tree in the Deadvlei dunes. Return to the Sossus Dune Lodge for lunch and an afternoon of your choosing. If you haven’t seen the Sesriem Canyon yet, this afternoon is another chance to do so. 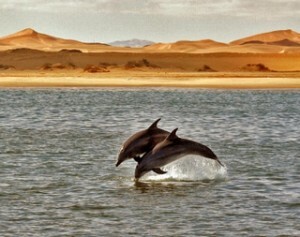 Spend the day driving through Namib Naukluft National Park, passing the Gaub and Kuiseb canyons, along the coast through Walvis Bay, and north to Swakopmund where the air is cooler and sand is on beaches rather than in dunes. The seaside town boasts modern shops, restaurants, galleries, museums, and cafes in a blend of German colonial architecture. Check out Pelican Point’s lighthouse and the salt works for birdlife before you take to the sea for a kayaking adventure in the outer lagoon of Walvis Bay. Get face-to-face with Cape fur seals, Heaviside and bottlenose dolphins, flamingos, pelicans, and many other birds of the sea. Try your luck to see leatherback sea turtles, whales, and sunfish. Enjoy a light refreshment on the beach before returning to shore. A motorized boat is available if you’re not so keen on kayaks, offering the same sights and experiences. Sip on local sparkling wine and enjoy fresh oysters before heading back to Walvis Bay where you’ll have the opportunity to explore the waterfront before spending an afternoon at leisure at your guesthouse in Swakopmund. 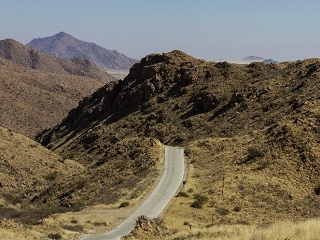 The safari continues northeast, past Brandberg, Namibia’s highest mountain, 8,441 feet above sea level, to Damaraland. Damaraland gives a new meaning to “wilderness,” known for its color, table-topped mountains, rock formations, and strange-looking flora. Erosion created the rolling hills, gravel plains, dunes, and ancient river terraces we see today. 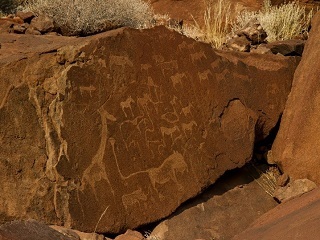 Spend the afternoon at the Twyfelfontein prehistoric rock engravings – a UNESCO World Heritage Site – if time allows. Spend the evening in bungalows at Camp Kipwe among giant granite boulders, just minutes from the Aba Huab riverbed where elephants sometimes roam. Spend the morning searching for game and desert-adapted elephants in a 4×4 along the Aba Huab and Huab River valleys. 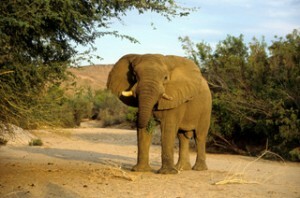 If the group agrees, take a picnic break under an Ana tree by the river as elephants stroll by. Spend the afternoon at the Twyfelfontein rock engravings if you haven’t done so already. Hunter-gatherers are thought to have occupied this particular area over 7,000 years ago, leaving behind tools, artifacts, and these engravings of elephants, giraffes, rhinoceros’, lions, kudus, springboks, zebras, and ostriches that use to hang out by the nearby watering hole. Not feeling up to it, or already seen it? Hang out at Camp Kipwe or explore the local area at your leisure. Depart Camp Kipwe to travel along the scenic Grootberg Pass to learn about the customs and traditions of a local Himba community. 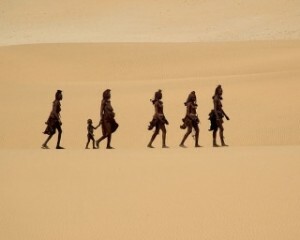 These semi-nomadic peoples are one of the last truly traditional peoples of Namibia. Depending on the time of year, the rural Grootberg Primary School may be your next stop on your way through Kamanjab and on to the new and eco-friendly Safarihoek Lodge in Etosha National Park. The afternoon is free for you to enjoy how you please. 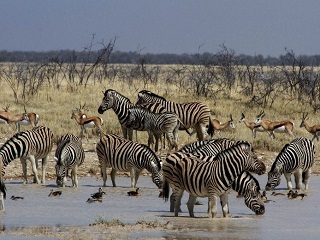 Today is reserved for central Etosha National Park game viewing in your private safari vehicle. Along with grassland, woodland, and savannah, are a collection of salt pans left over from lakes and rivers that have since dried up, for you to explore in your travels. 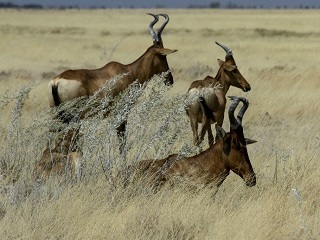 You’ll travel from southern Andersson’s gate to Halali, where you may enjoy a quick lunch, across a few waterholes and on to Namutoni Camp on the eastern end. Though you must exit the park before dark, you’ll have extra time to sit back, relax, and enjoy the Onguma Tree Top Camp before dinner. It really is in the tree tops, as the entire accommodation was built on wooden stilts. What other way to end the day than, you guessed it, more game viewing from the floodlit waterhole. Explore the eastern side of Etosha national Park and return to camp for an afternoon to rest before you drive off to the private Onguma game reserve to enjoy sunset over the Fischer Pan. 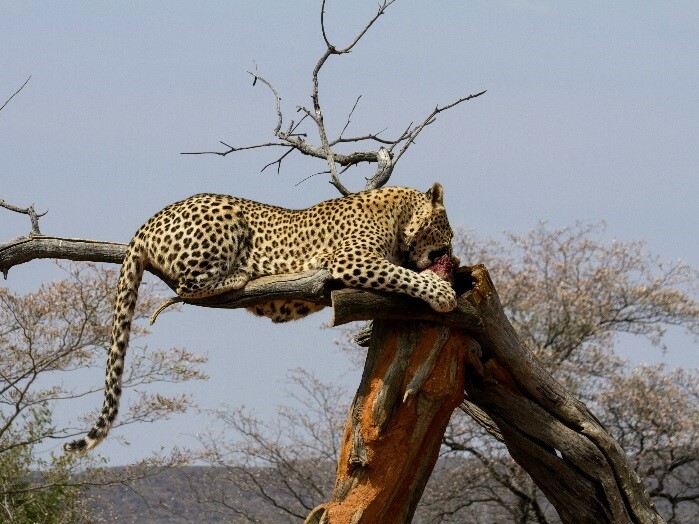 After breakfast, head south to Tsumeb, Otavi and Otjiwarongo for Okonjima’s AfriCat Center, a wildlife sanctuary whose mission is to conserve and protect threatened cheetah, leopard and other wild carnivores. 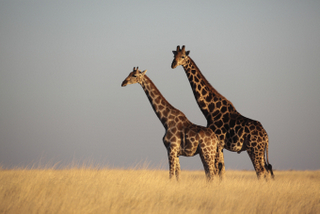 See Namibia’s big cats in their natural environment on a game drive. Return to Windhoek for overnight. Explore Etosha Park on a game drive with the chance to see black rhinos. Return to camp in the Onguma Game Reserve for lunch and a rest before heading out in the late afternoon for sundowners at Fischer’s Pan. Dinner tonight overlooks the camp’s floodlit waterhole. A private car transfer will take you to Windhoek International Airport for your departure flight home, arriving home the following day. 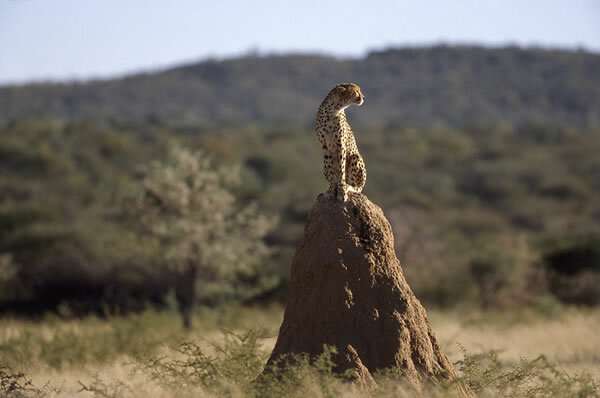 Spend more time with the cheetahs and leopards with a one- or two-night extension at AfriCat Okonjima. Activities include leopard tracking, and visits to the cheetah welfare project and the night ‘hide’ where nocturnal animals are seen. Inquire for further details.